Germany is an established bellwether for business in Europe. With high standards in engineering and a well-functioning consumer market, success in Germany usually translates well across the EU and even further abroad. This rings true for everything from cars and bikes to PCs and software. 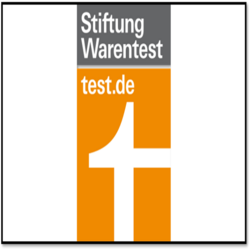 Aligning with the market and engineering prowess are well-developed standards for product and service testing, these include recognized industrial testing organizations like the regional TUV(s) and SGS S.A. For consumer testing however, there is the acclaimed German testing institute Stiftung Warentest. 2019 saw ESET products included in the independent testing house’s efforts to determine which anti-virus solutions for Mac and Windows provide the best solution for end-users. These follow on the back of tests in late 2018 by Stiftung Warentest in December, which rated ESET Mobile Security winner among 17 products for providing the best protection in the Android environment. In the latest round of tests, ESET Internet Security for Windows competed in a field that totaled 22 PC security solutions, and its product ESET Cyber Security Pro competed in a pool of nine solutions for Mac. In both cases, ESET stood out and convinced testers with its excellent anti-malware protection, user friendly interface and very low performance impact. The tests support ESET’s market visibility and growth strategy, which were firmly established in Germany via two significant developments in recent years. The first, the opening of a regional management center in Jena in 2013 to help coordinate activities across Germany, Austria and Switzerland (DACH), and in October 2016 with a Sales & Marketing office in Munich. Engaging with Stiftung Warentest and other quality conscious entities in the German marketplace is a great way to maintain our high standards. In this case the tests have given our product an R&D teams fresh feedback that ESET’s core strengths, high-protection with low system impact and user-friendly operation are appreciated in among German testers and users.